Animation, which is a field that received little attention from the public in the 20th century, has recently attracted a lot of interest thanks to the implementation of cutting-edge technologies. The industry has combined 2D and 3D effects and improved visibility by using VR technologies. Technologies for the production of 3D animation have been considered as the core of the digital contents. And it has become one of the critical elements for the industry. Also, instead of drawing imaginary characters on a virtual space, a character can be created through 3D scanning of a real person. Therefore, people can feel like becoming a main character of an animated film. Along with the arrival of the fourth industrial revolution, a drawing skill that makes use of the VR technologies has been developed. 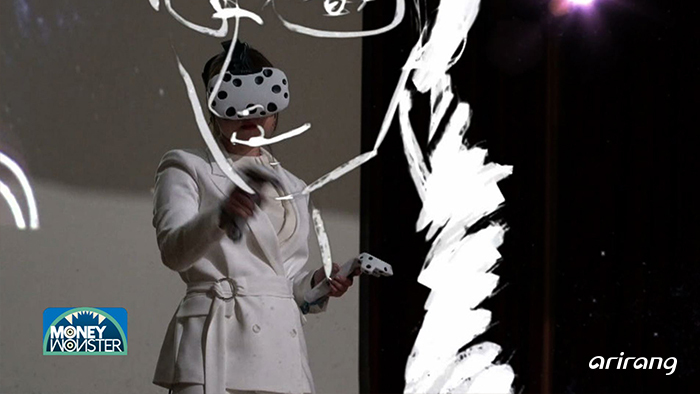 By combining virtual reality and art, contents can be created based on the drawings of an artist, instead of a 3D modeling process. It has improved visibility and boosted communication with artists. 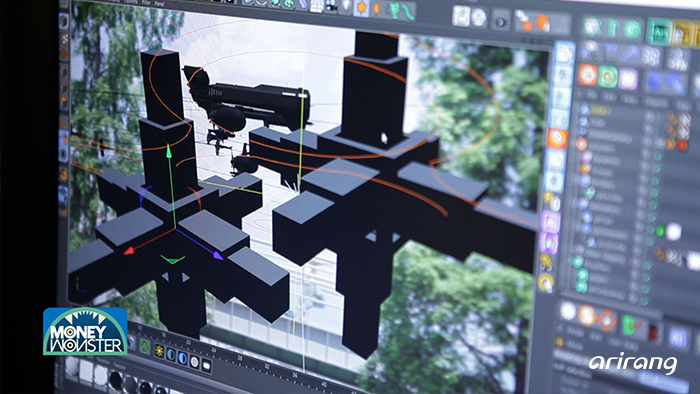 We look into the ongoing development of the animation industry which has been collaborated with cutting-edge technologies. The distribution sector has recently faced significant changes. "Shoppertainment" is an emerging marketing strategy that attracts customers by providing entertainment or leisure facilities. An increasing number of offline stores have provided unique experiences to customers which can't be provided by online shopping malls. And it has achieved continuous growth as a multi-complex shopping mall where customers can enjoy shopping and various experiences at the same time. 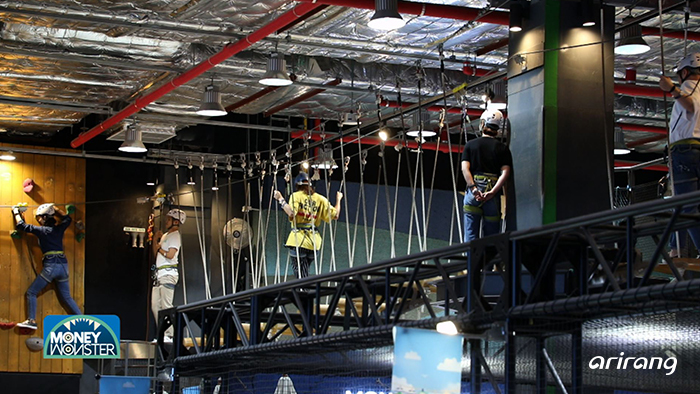 Distributors in suburban areas have tried to promote their districts as a tourist attraction by boosting the shoppertainment marketing strategy. It can compensate for the inconvenience of customers who have to travel a long distance. 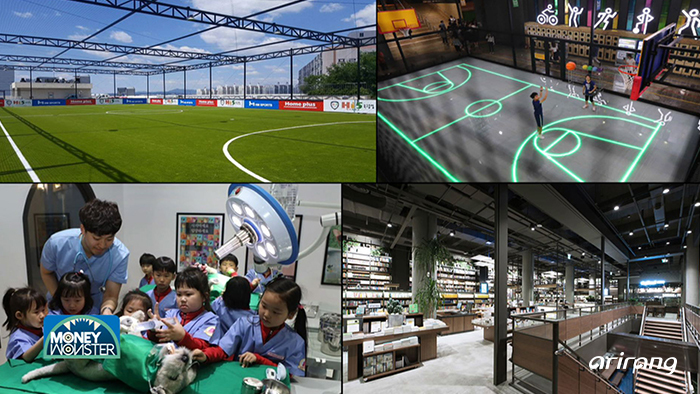 A futsal stadium was established at the rooftop of a shopping mall, which was an unused space, so people in all age groups can enjoy sports games. Also, it has allowed pets to enter and offered a lot of convenient facilities for pets as well. The provision of all-in-one services, which enable customers to enjoy various experiences at the same place, has led to an increase in sales. Also, there is a store which has become popular among young consumers by providing a service that combined sports and entertainment. As a result, the time customers stayed at the store actually increased in comparison to the past. And it has also led to an increase in sales. We analyze shoppertainment, which is expected to create higher added values and become a significant growth engine for the distribution sector. Wireless power transmission technology has grabbed attention as one of the promising technologies for the future. Along with an increasing number of people who use smartphones and laptops, there's been a growing demand for a wireless charging method as well. Therefore, domestic companies have made a lot of efforts to commercialize the wireless power transmission technology. And a charger that enables the charging of several devices at the same time has been introduced to the market. Thanks to the development of a wireless charging system, there's no need to use lines and multiple tap connectors when charging portable devices. So it has eased the inconvenience of consumers and strengthened the effectiveness of electronic devices. Moreover, wireless power transmission technology has brought about significant changes to the field of electronic vehicles. 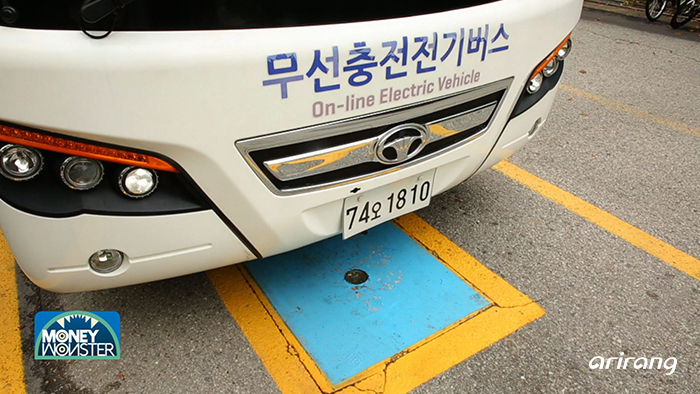 A domestic research team has developed a wirelessly charged electric bus for the first time in the world. Other types of electric vehicles need to visit a charging station, but a wirelessly charged electric bus can be charged while driving. 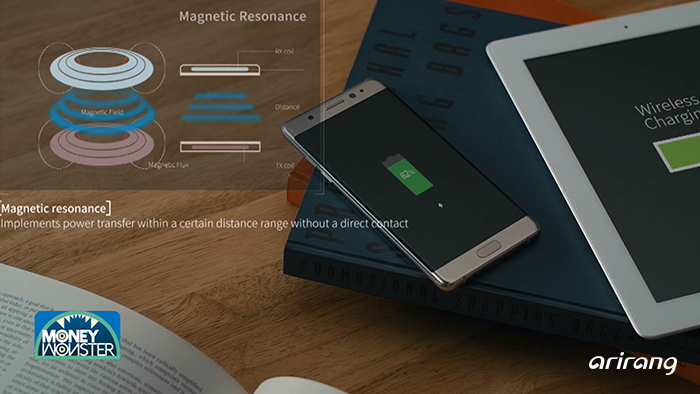 Only with a frequency receiver for long-distance wireless charging, it is possible to charge several electronic devices at the same time based on a non-contact method, at a confined space like a room or a cafe. We introduce the evolution of wireless power transmission technology which uses a space itself as a charger.